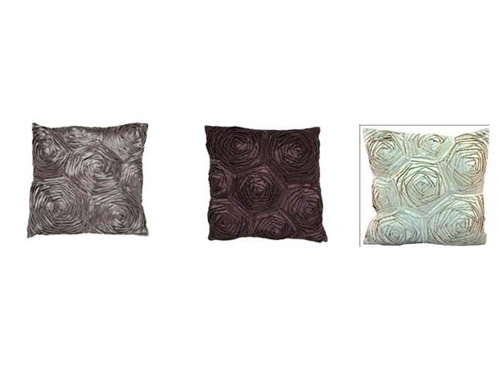 Decorative Pillow – Modern Flower design. Available in 3 colors: Taupe (150pcs), Chocolate (150pcs) or Ivory (150pcs). Size: 18” x 18”. Filled with Down Feather.